Thomas makes a very strange request: He won’t believe unless he puts his hands in the print of the nails that crucified Christ. The strangeness of this request came to me when I returned a spoiled package of strawberries to Whole Foods yesterday. And right in front of me at the customer service was a lady who was returning two packages of the same Driscoll’s Organic Strawberries. We compared the clear visual signs on our strawberries of mold and spoilage. The lady at the customer service needed no visual proof. She promptly issued refunds to me and the lady. But Thomas needed visual and tangible proof. It is a strange request because if you hear someone has risen from the dead, you’d be looking for a glorious apparition, some indication of divinity – you won’t be looking for a physical reminder, remnant, of the way the person died! And yet there is something very profound in what Thomas wanted. He wasn’t looking for the transfigured Christ, who’d be shining with divine glory, who could walk through walls. No, he wanted to see the Christ who was familiar to him, the Christ who was his friend and teacher for a few years. For Thomas, the clearest proof of resurrection would be to see the familiar Christ with the marks of crucifixion still on his body – not erased by some divine transformation. And what if the marks of the nails were no longer on Christ’s body? What if they had been erased, healed, by divine power? 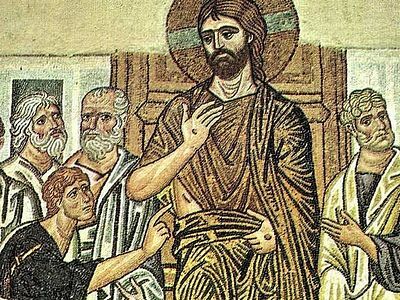 Would Thomas still not believe when Christ appeared to him? Good question – and one that we can’t answer of course. And of course this brings us smack into the heart of so much of the mystery of Christian faith. How can Jesus Christ be both God and man? How can God die? How can Christ be resurrected and still carry on his body the marks of the nails? Not only for Thomas’ sake, but perhaps for all eternity, even in the glory of the heavenly kingdom! Mysteries, paradoxes – scientists and atheists like to accuse Christians of resorting to mystery talk when we can’t explain or can’t prove something. I don’t have an argument with atheists; I respect their choice. But I do have an argument with scientists. Scientists should remember their own penchant for paradox and mystery. The early decades of the 20th century saw the greatest revolutions in the history of science – the theories of quantum mechanics and relativity. The relativity theories of Einstein transformed our ideas of space and time and also, as a byproduct, gave us the equation that produced so much terror and beauty, E = mc2. Quantum theory tells us that at the core of subatomic reality there is uncertainty. And quantum theory introduced the strange idea that the particles that make up everything can behave as particles and waves! Niels Bohr, the great Danish physicist, was asked how an electron could be both particle and wave. His answer: “We must be clear that, when it comes to atoms, language can be used only as in poetry.” Poetry is also the language the Bible uses to explain the inexplicable. And this is why scientists should be a little more careful about what they criticise and mock. The physicist James Trefil tells us: Instead of thinking of electrons as microscopic spheres circling round the nucleus of an atom, we see them as probability waves sloshing around in their orbits like water in some kind of doughnut-shaped tidal pool governed by Schrödinger’s Equation. This famous equation is at the heart of quantum theory and describes physical reality in terms of wave functions and probability. Together with the Heisenberg Uncertainty Principle, the Schrödinger Equation reveals to us a world of paradox and uncertainty at the heart of all existence. Uncertainty, yet also a precision that is beyond anything humans an achieve: Stephen Hawking estimated that if the rate of the universe’s expansion one second after the Big Bang had been smaller by one part in a hundred thousand million million – catch that? – the universe would have re-collapsed and we wouldn’t be here today. Poetry, paradox, at the heart of physics. If electrons can be both particles and waves, why can’t Jesus be both God and man? Why shouldn’t the marks of the nails be forever part of the resurrected, glorified Christ? 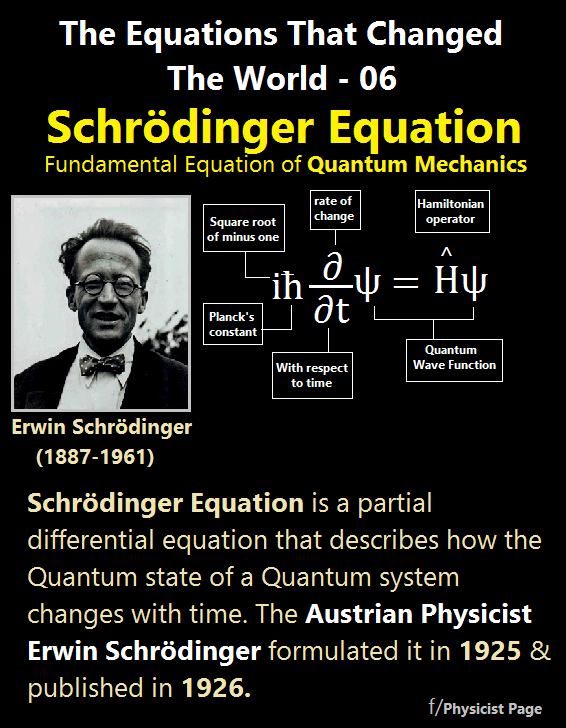 The appearance of the risen Christ to Thomas is in a certain sense the Schrödinger Equation of the Christian faith. The resurrection appearance to Thomas also tells us that God’s power is manifested not in spectacular demonstrations of divine power, but in weakness, in pain and in suffering – another paradox of faith, emphasised by Paul in his letters. In the resurrection appearance to Thomas, the reality of the resurrection is in the wounds that Christ bears. The divinity of Christ is demonstrated in the human wounds that he bears. He bears not only the wounds of the nails that crucified him, but he bears your wounds and my wounds, the wounds of all humanity. Categories: Sermons | Tags: paradox in Christianity, Quantum theory, Thomas Sunday, wounds of Christ | Permalink.